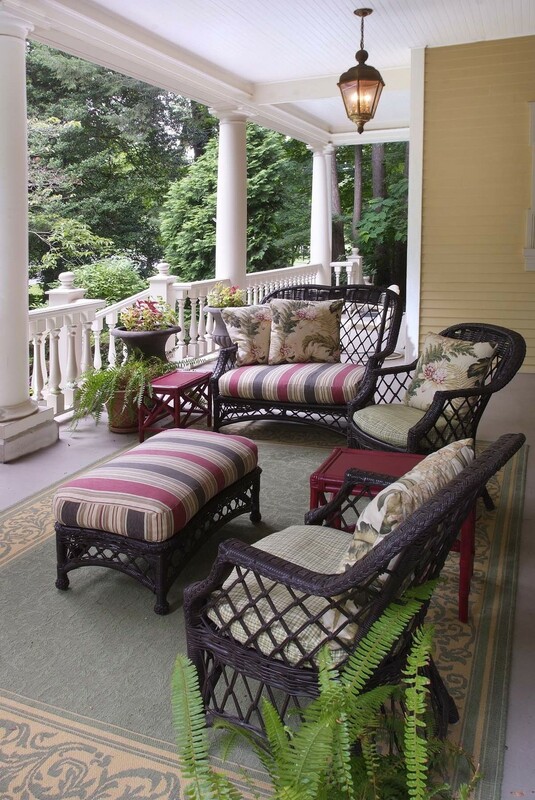 A favorite style home is the Colonial Revival with broad porches, a formal layout with the Center Hall accentuated by a Grand Stair, Living Room, Parlor and Dining Room. They are defined by their high ceilings, beautifully crafted trim, fireplaces, built in bookcases and often a tiny Powder Room tucked in under the Grand Stair. This Revival was refreshed with interesting patterns, textures and colors. The tiny Powder Room was fit out with a tiny vanity, mirror, crystal light and fun cheetah print wallcovering. Statement pieces of furniture and family heirlooms are restored and reupholstered adding a fresh look while drawing your attention to a period in time when one would sit for a while and reflect on days gone by while making plans for future adventures.